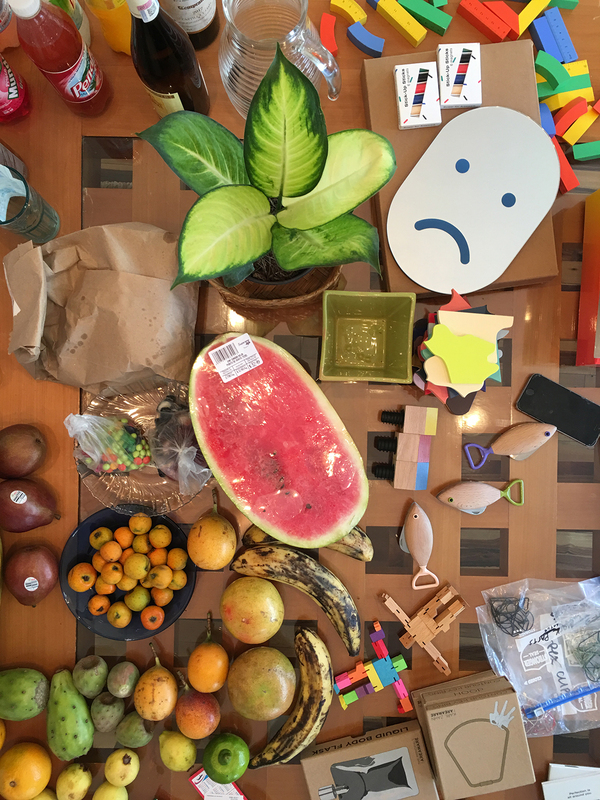 The Areaware creative team traveled to Mexico City in early November to photograph our upcoming Spring 2016 product line. 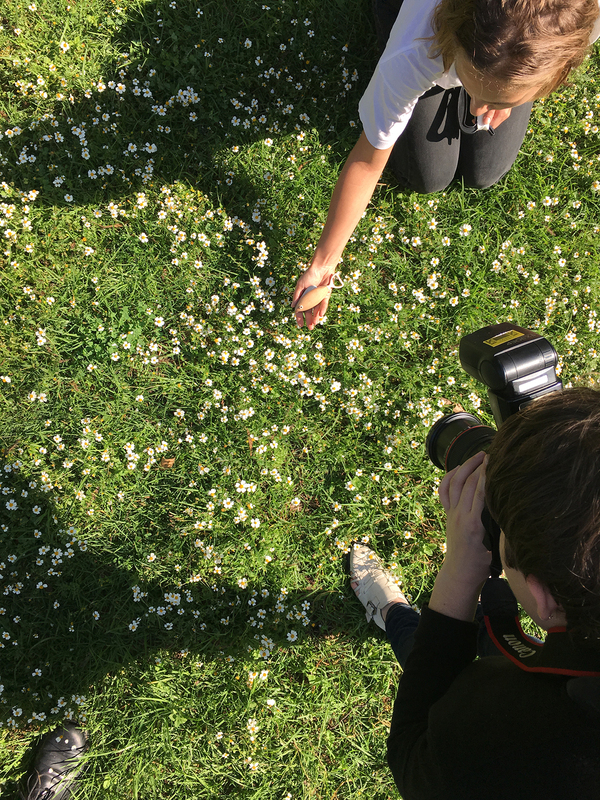 Artist and photographer Carson Fisk-Vittori, traveled along with us to photograph the new collection. 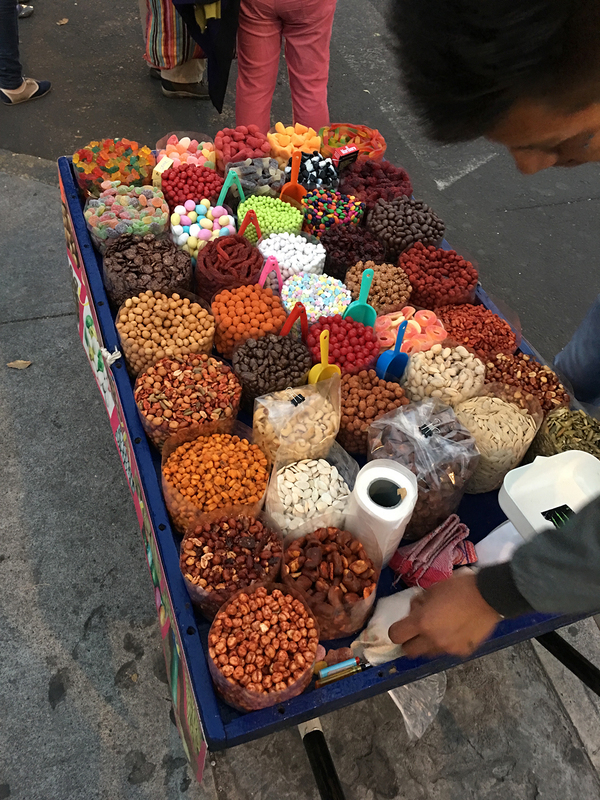 We arrived in late afternoon, after an early dinner we headed toward the area around Zócalo square to shop the markets for props. 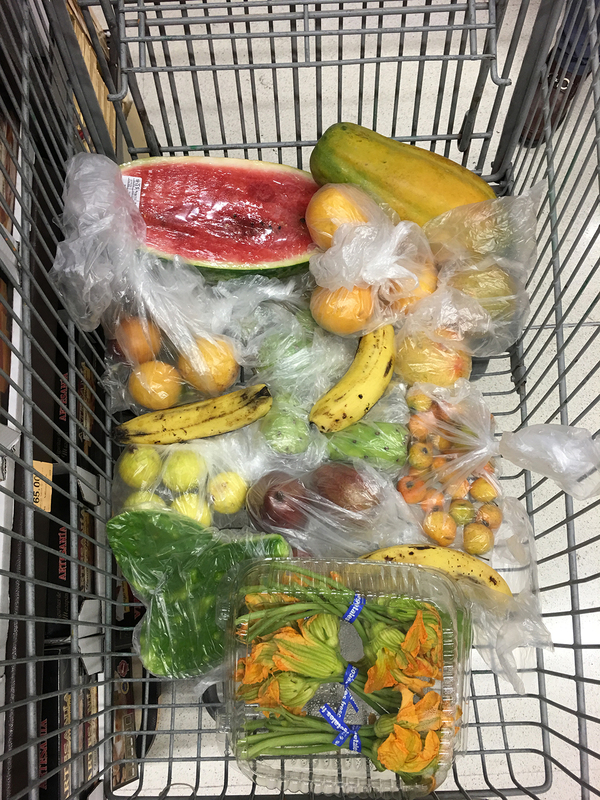 After wandering for a while and meeting some friendly street vendors (who gave us free candy) we made one last stop for fruit at the supermarket near our apt in Condesa. 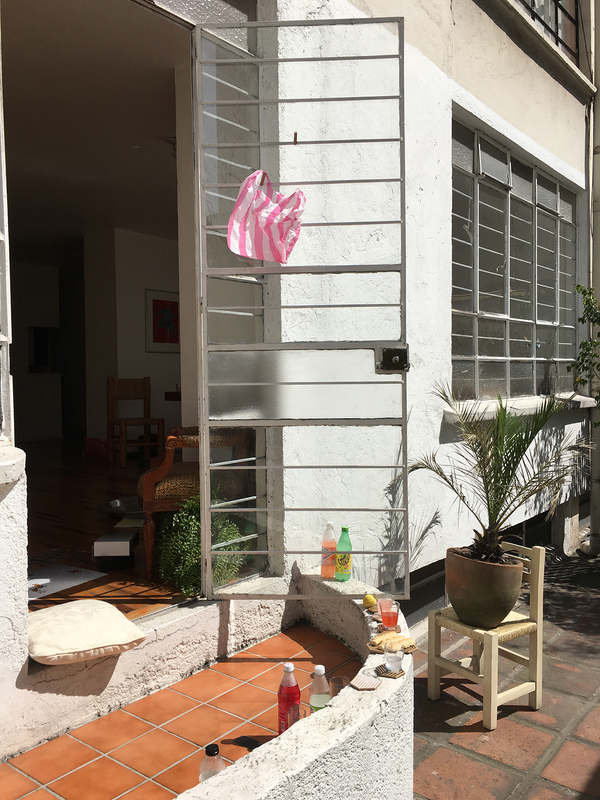 We spent our first day working on location in and around Condesa. 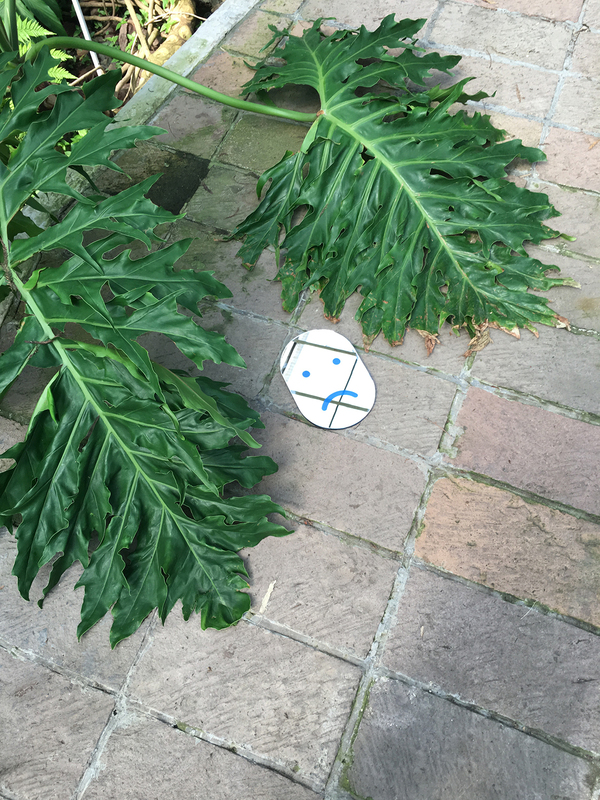 There was perfect light on our patio and two tiny lizards befriended us but they were too shy for photos. Above you can see our prop table with a nice spread of products, plants, juice and fruit. 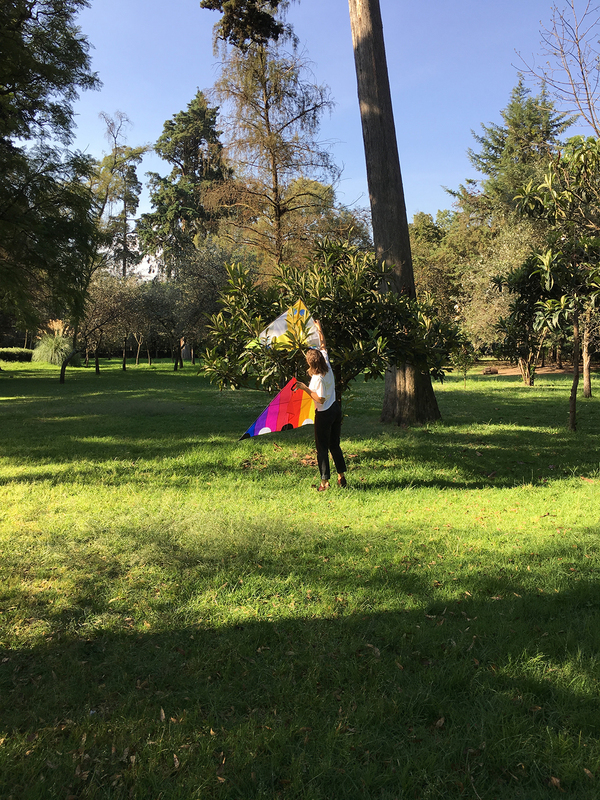 We spent our second day wandering in Chapultepec Park, the largest park in Latin America. 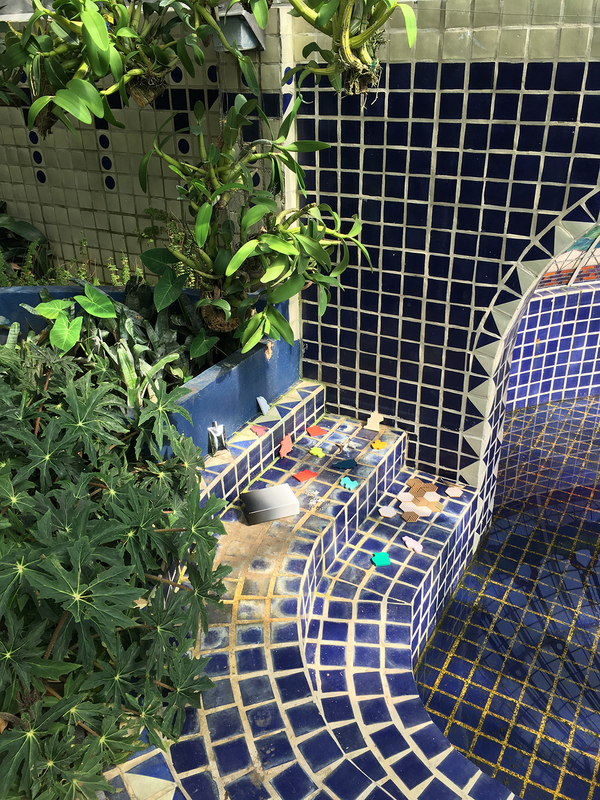 We found a beautiful greenhouse with a blue tiled wading pool where we unpacked and set up a few group shots. Here we have Mirror Mask by Chen & Kai looking mega-bummed next to some seriously huge palm fronds. Creatively we were inspired by the colors and textures of Mexico City. We had an image in our heads of a dreamy surrealist picnic that played with shadow, color, shape and arrangement. We pieced it together bit by bit as we traveled around the city. 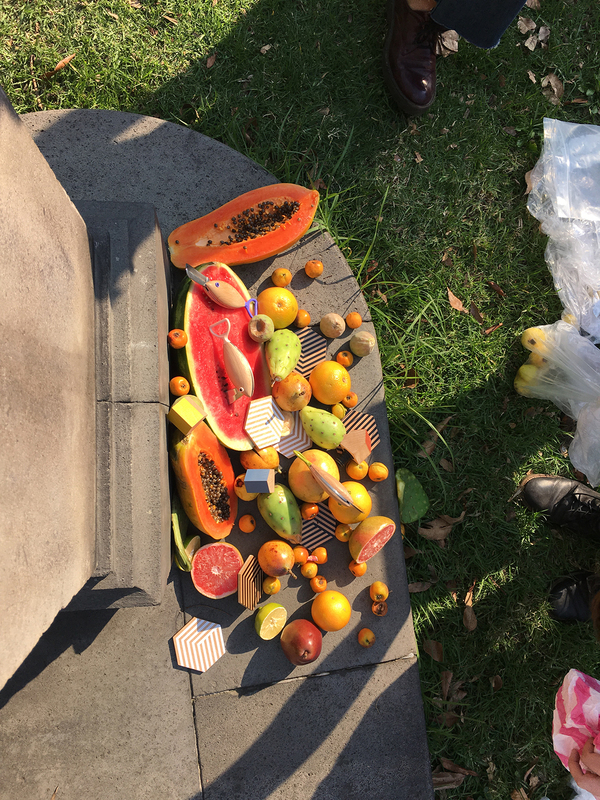 Here we have set up a pile of fruit near a monument in the park, one of the last shots we needed before wrapping up for the day. The shoot had a true sense of adventure. We purposefully did not pre-plan most of the locations around the city and were interested in the surprise of something finding us. On our last day in the city we woke-up early and headed to a corner of the park to photograph our new Fredericks & Mae kites. Here we are improvising in the trees. The Spring 2016 Collection will be available early next year. 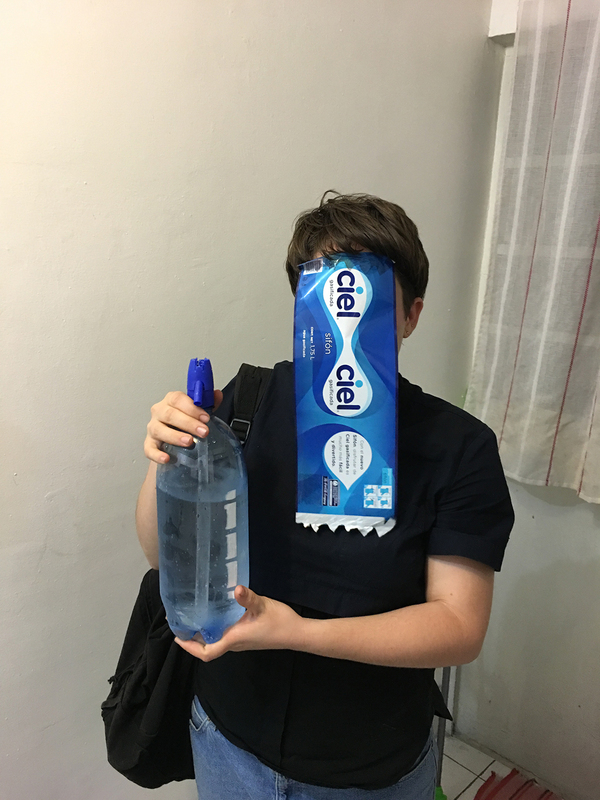 Check back often for more updates and product development notes. Check out more of Carson's work on her website.